I’ll be at BEA and BookCon in New York City in a couple of weeks! Here’s my schedule – I hope to see some new and familiar faces!! I will be signing 100 samplers of RENEGADES. Description: Four bestselling authors take the stage to discuss their craft, creativity, and inspiration, with a focus on the changing audiobook landscape. 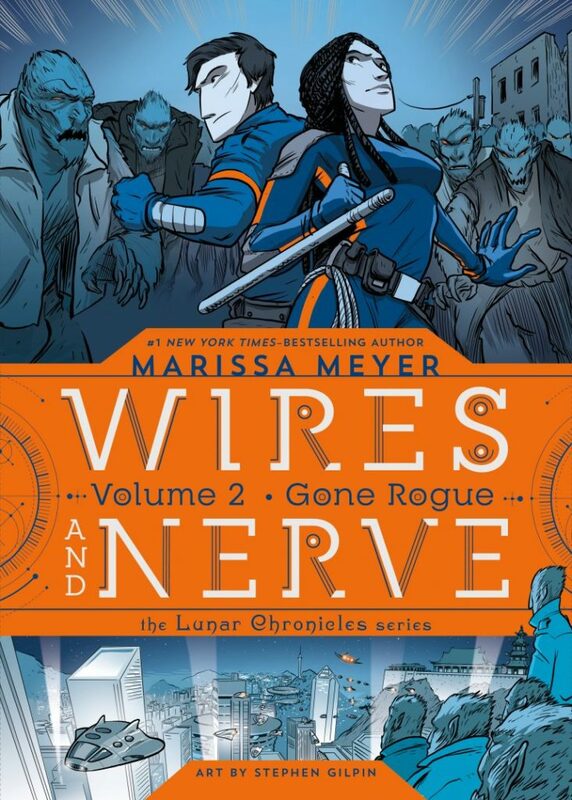 Cover Reveals: WIRES & NERVE 2 + RENEGADES!!! AAAAH! This past week has been INTENSE with awesome things happening. 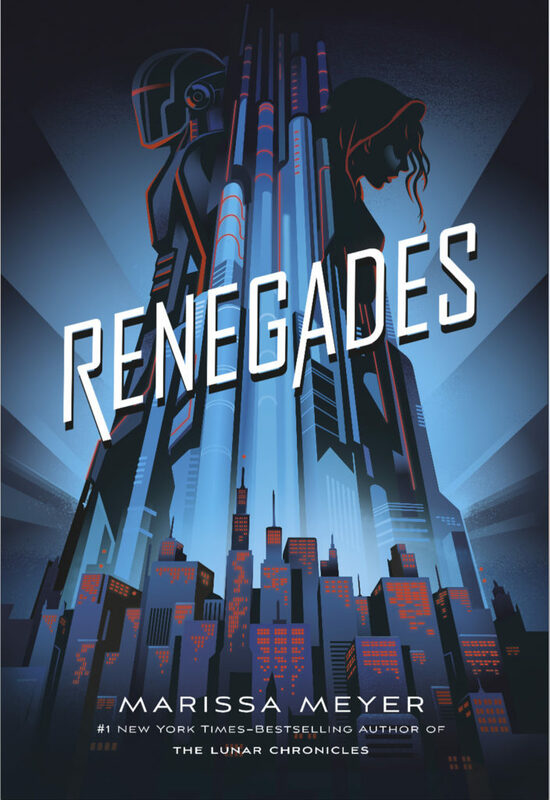 And THEN… just yesterday we also revealed the cover for… RENEGADES!!! Click through to visit the exclusive reveal at the LA Times’ Hero Complex blog and get a special sneak peek of the book’s first pages! I love both covers so-so-SO much, but especially the cover for RENEGADES. It is everything I hoped for and more. In fact, it just might be my favorite of all my covers to date – and that is saying something! If you haven’t heard the news yet, there is a fun new reading challenge kicking off this month, with the phenomenal Gene Luen Yang (one of my personal author/illustrator idols) leading the charge. Essentially, the challenge is to read something that stretches your mind just a little beyond your comfort zone. You can pick to read something that fits into one of three categories – or perhaps read three somethings that fit into each one. Once you’ve finished, post about it to your favorite social media using the #ReadingWithoutWalls hashtag. I’m excited to do this challenge, and hope lots of people are going to join in! 1. Read a book about a character who doesn’t look like you or live like you. 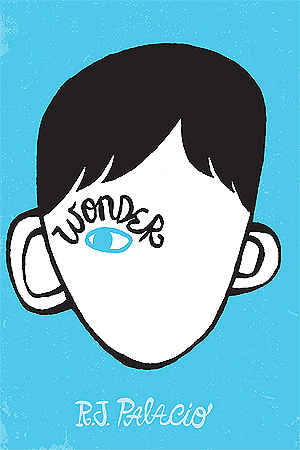 I’ll be reading: WONDER by R.J. Palacio (about a boy with a facial deformity). 2. Read a book about a topic you don’t know much about. 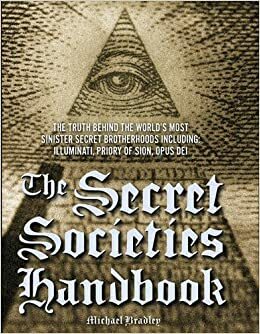 I’ll be reading: THE SECRET SOCIETIES HANDBOOK by Michael Bradley (a topic that has long fascinated me, but never been explored). 3. Read a book in a format that you don’t normally read for fun. 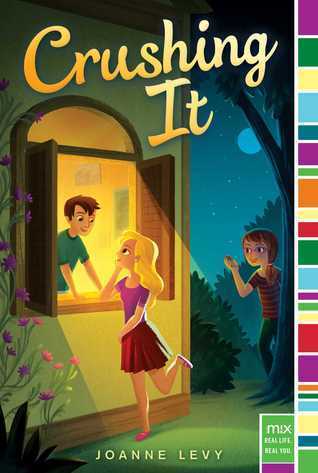 I’ll be reading: CRUSHING IT by Joanne Levy (as I very rarely read middle grade). Are you taking the #ReadingWithoutWalls Challenge? Let me know your book picks in the comments! Sooooooo excited to be announcing my new book!!! 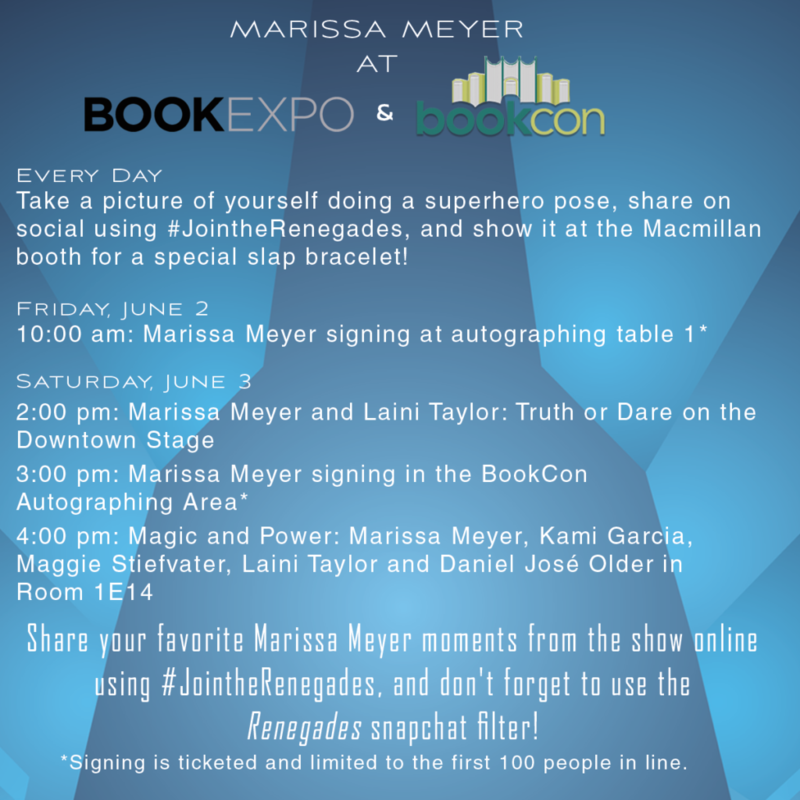 Sign up at FierceReads.com for ongoing updates about Renegades! Here we go again, folks. It’s… CONTEST TIME! 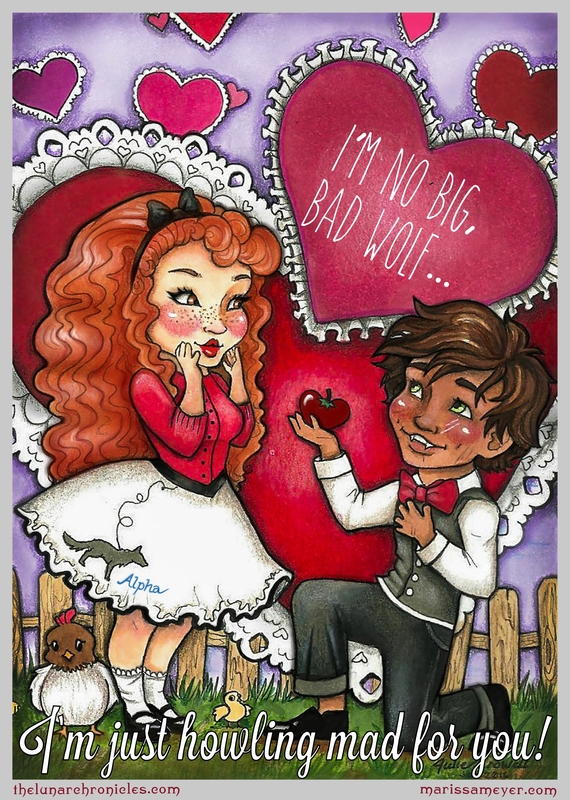 YOUR MISSION: Color a page – any page – from The Lunar Chronicles Coloring Book, illustrated by Kathryn Gee. 1. The page you color must be from The Lunar Chronicles Coloring Book, illustrated by Kathryn Gee. 4. Please enter only once. 5. All entries must be received no later than midnight PST on Tuesday, March 7, 2017. 6. This time around, the winner will be randomly selected, so it’s anyone’s game! Once your page is colored, take a photo or scan it, then share it on your favorite social media site. 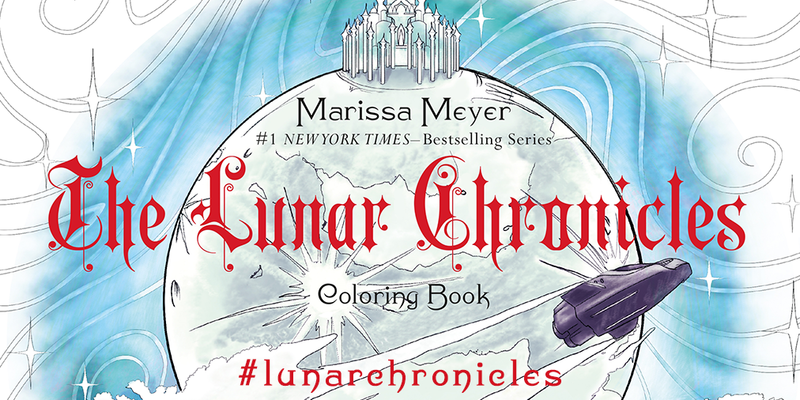 Be sure to mention the Lunar Chronicles Coloring Book (and/or this contest) and use the #LunarChronicles hashtag. Lastly, fill out the Rafflecopter form below, and you’re done! Three winners will be randomly selected via Rafflecopter. Happy Coloring, and good luck! Confession: I love Valentine’s Day. I always have. Even long before I had a special someone to spend it with, I loved the idea of a holiday centered around love – romantic love, familial love, friendly and platonic love… it all makes me happy. Plus, you know, the chocolate. 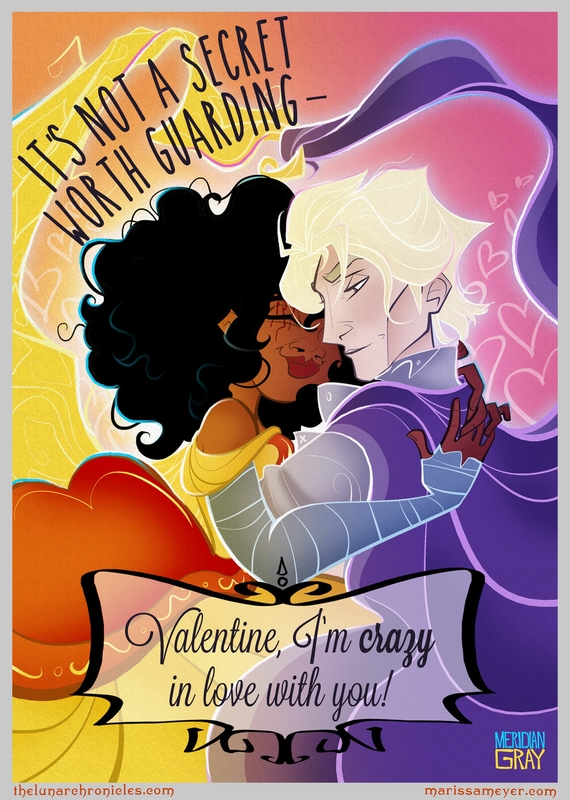 I know my appreciation for Valentine’s Day tends to put me in the minority this day and age, and that’s okay. To each his own. 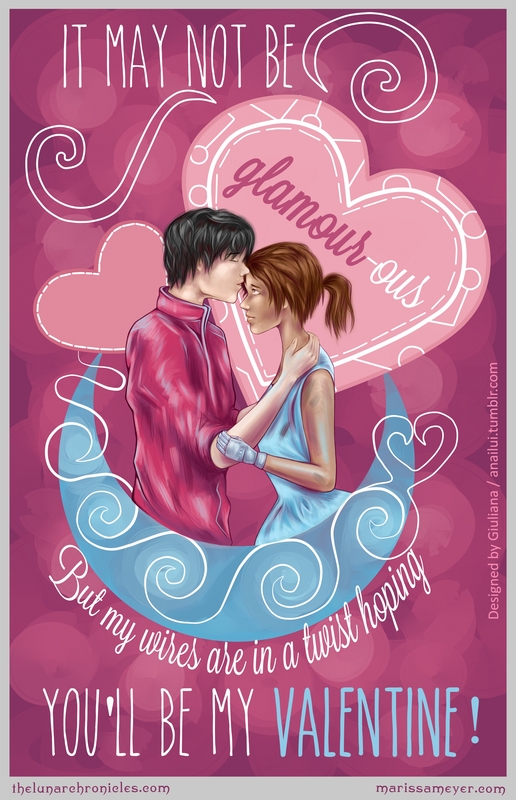 And so, this year, we have a little something both for the Valentine lovers and the haters. 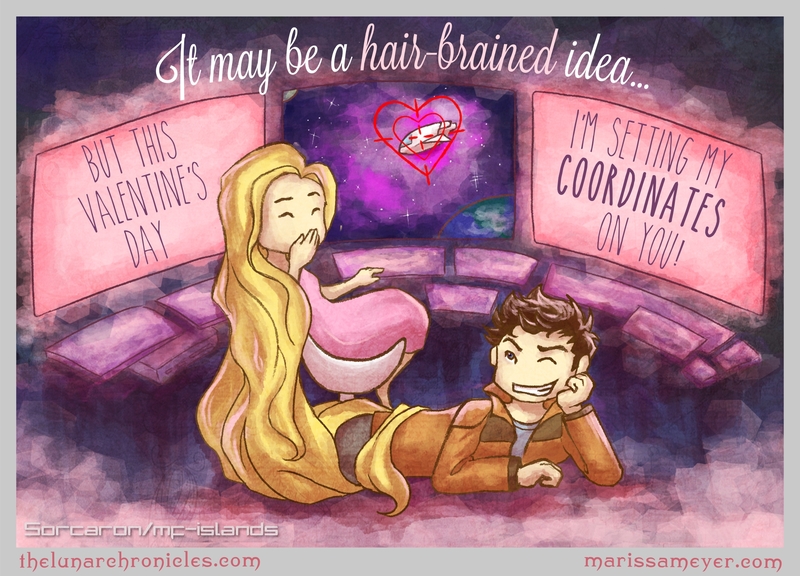 For the Valentine’s Day Lovers… Lunar Chronicles Valentines! Yes, these were posted on my blog last year, but I had to bring them back, because I simply love them so much! (Plus, there could be new fans out there that haven’t seen them yet.) 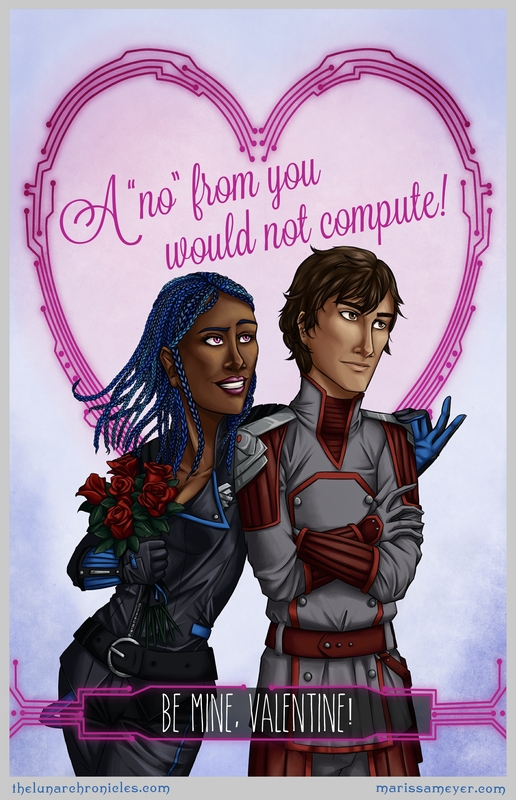 Each of these phenomenal valentines was crafted by a beloved Lunar Chronicles fanartist, and they each make me so, so happy. For the Anti-Valentine’s Day Folks… a #Heartless Sweepstakes! Thanks to Fierce Reads, everyone* will have something to get excited about during this season of love and hearts, even if it’s just the chance to win an awesome #Heartless prize pack! 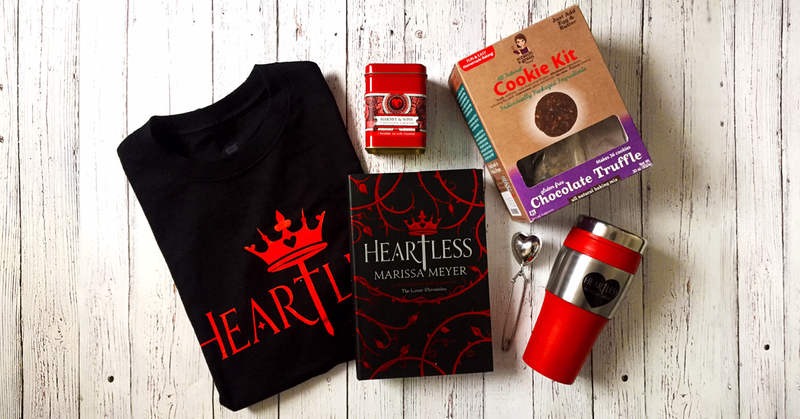 Enter Here for your chance to win one signed copy of Heartless, one box of cookie mix, one box of tea, one tea diffuser, one Heartless tumbler, and one Heartless t-shirt! Wires and Nerve is here!! 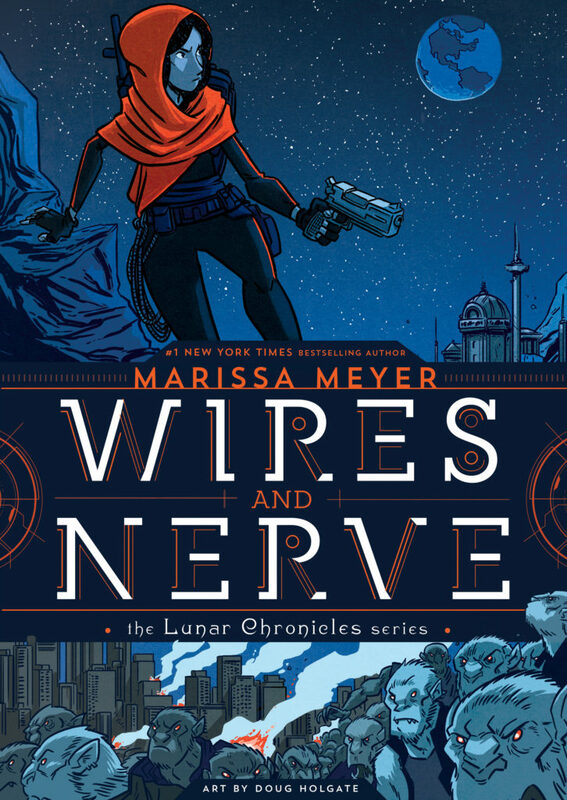 Wires and Nerve, the first of my Lunar Chronicles graphic novels, IS ON SALE TODAY! I could not be any more excited. I truly love this book and am so proud to be crossing another childhood dream of mine (write a graphic novel!) off my list. It was immense fun for me to be able to revisit the TLC world and all my old Rampion friends, as well as to be able to give Iko a much-deserved tale of her own. I sincerely hope you will all love it as much as I do! Read more about the book and order your copy here. If you’re in the Tacoma/Seattle area, I hope you can come to tonight’s launch party – 7:00 at the Tacoma Public Library! I’ll be posting a new deleted scene or excerpt from The Lunar Chronicles every Friday through January 27, spanning the releases of The Lunar Chronicles Coloring Book on December 6 and Wires and Nerve, vol. 1 on January 31. SPOILERS WARNING: Even though this scene was ultimately deleted (or heavily altered), it still contains information and references to things that did make it into the book. I strongly encourage readers to enjoy the published books before proceeding! And here we are, the very last of the deleted scenes! I’ve saved the best for last – at least, this is my personal favorite, and one that I fought so hard to keep in some form or another in the books, but ultimately determined that it just wasn’t going to work out. As many of you know, I wrote the first drafts of Cinder, Scarlet, and Cress during NaNoWriMo 2008. My goal for that month was to hit a total of 150,000 words. Well, on November 30th, with only hours left, my well was dry. I only had a few thousand words left to hit my goal, but I’d exhausted all my outlines and plans and my brain was mush, but there was one scene I had in my mind that, even at the time, didn’t fit anywhere into my plan for the story, but it just seemed like so much fun to write, so I decided to throw it in and see if I could make it fit later. So I wrote the scene in the hours leading up to midnight, and it was weird and crazy and a little silly, but I loved it, and it became my favorite thing that I wrote that entire month. I also hit my goal, clocking in at 150,011 words. Though originally I thought the scene would end up in Cress, at various points in the revision process I tried to make it work in both Scarlet and Winter. Of course, it didn’t work, but here – FINALLY – I get to share it with you guys anyway. Helpful set-up: As per my note above, this scene didn’t really fit anywhere into the story, so it’s a little difficult to place in the timeline of what ultimately happened. But, generally speaking – this would have taken place after Wolf and Scarlet joined the crew of the Rampion. Thorne is blind, but Cress is missing… I’m not entirely sure how they got separated from her, or where she is. Not really important to this scene, but they also didn’t yet know who the Lunar Heir was… largely because, in those early drafts, *I* wasn’t sure who it was! I had arguments in my head for it being Cinder, Scarlet, or Cress, and had decided to figure it out for sure after the drafts were written. Cinder raised her eyebrow at him. His eyes were still unnerving to look at, their utter blankness filled her with pity. “Well don’t look at me,” she said, then gasped. You will also be entered into monthly giveaways for signed books and other goodies.